Robert W. Petrick is an American artist born in 1945. He was basically self taught, though attended the Tyler School of Art in Pennsylvania on a high school scholarship. In 1983, he moved to New York and has focused primarily on developing a painting vernacular strongly rooted in the New York School of Conceptual Abstraction and avant garde music. Petrick's work presents an exceptional color scheme with loosely formed shapes based around a type of gestural geometry. His consistent practice integrates vaguely geometric forms which interact, collide and float, suggesting both object and non-object simultaneously. Petrick’s artwork seeks the sublime, embodies the avant garde nature of the New York School, and helps define the conceptual abstraction movement of the East Village underground. His process is more akin to neighborhood predecessors from the 1950’s like Motherwell, Klein, and Rothko, than to their contemporaries from the 1980’s Neo-Geo and Neo-Expressionist scenes. For more than 45 years Petrick has been consistently pushing the medium of painting. 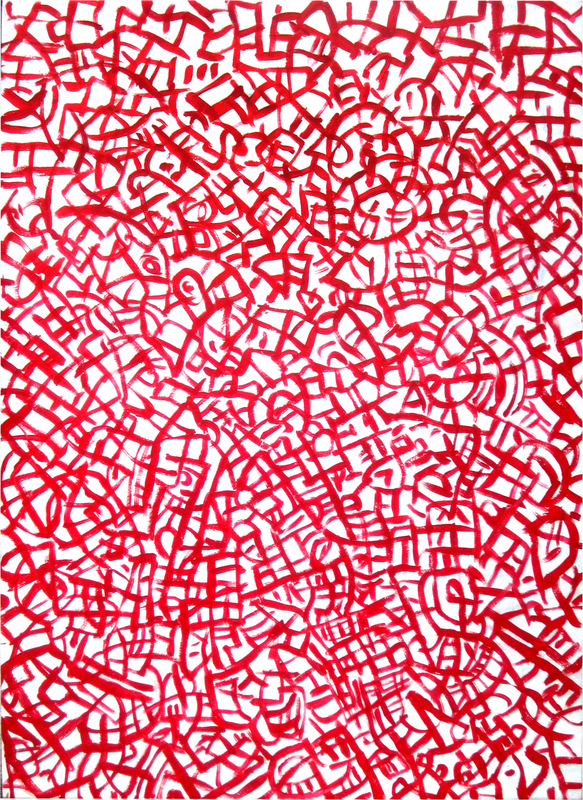 In his most recent series entitled "Compressionism", which he uses to describe and categorize the drawing and painting process in which line and space are destroyed by collapsing or being squeezed in on themselves. It is pure painting and this new series offers some of his most exciting compositions to date. There is a clarity and lyrical quality to this work in both color and form. The painted line composition describes expanding thoughts or ideas in the confined space of the canvas, each time expanding in different ways to create a new image.